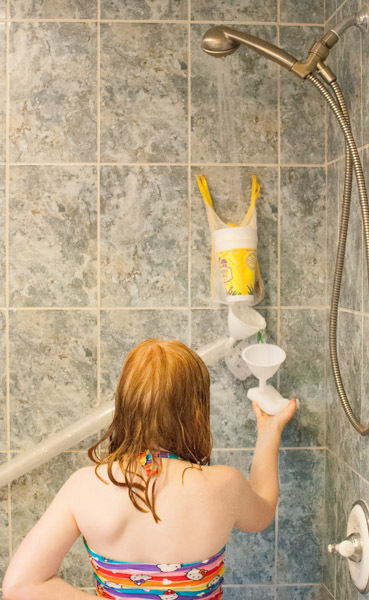 Whether your kids love or hate bath time, here’s a new twist that will make cleaning up just that much more fun. 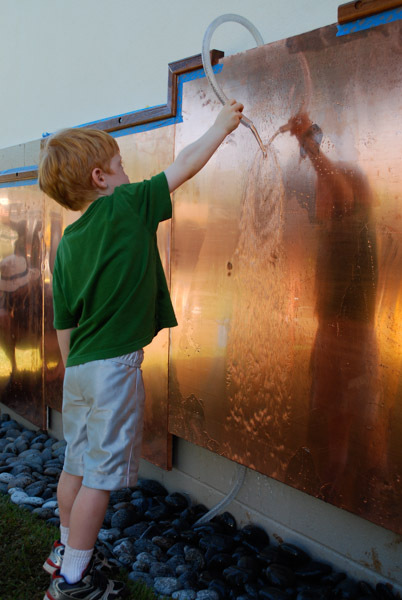 When Luca was in preschool, the parents, teachers and kids spent a weekend making a beautiful outdoor copper water wall. The children were asked to bring items that could be used to collect, divert, and create fun hands-on water play. We found some neat supplies at Price Busters. 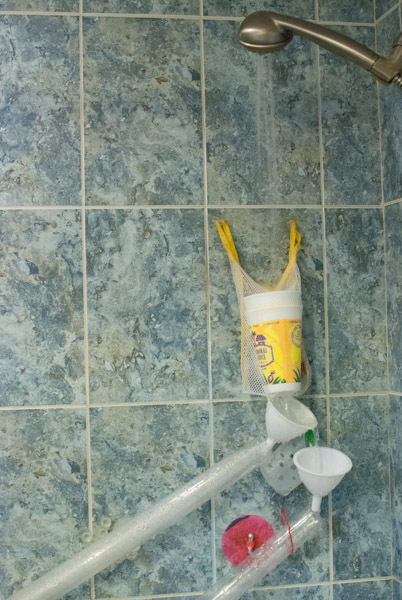 Mid-Pacific Institute used a solar pump to recycle the water but we used the shower attachment in our bathtub. 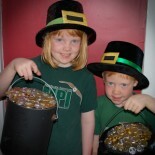 To get started, have your kids raid the kitchen for sieves, colanders and funnels. Check the beach bag for pool and beach toys. Stop at City Mill or Home Depot for some PVC pipes or tubing. Add a bunch of suction cups and some rubber bands. 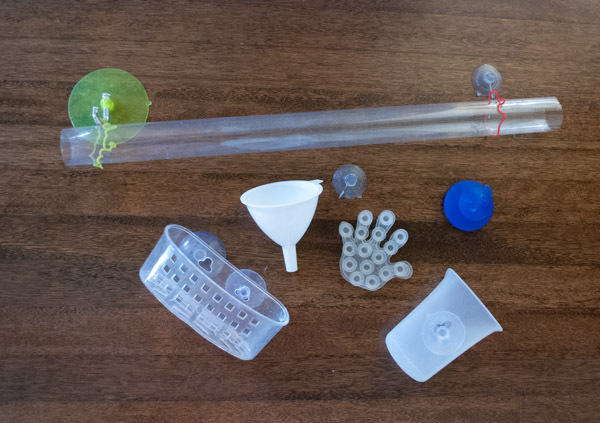 Purchase plastic tubing. I found some at the The Light Source on Ward Avenue. It comes in different colors and is used to cover fluorescent light bulbs. I like that it is clear and kids can see the water rushing through. 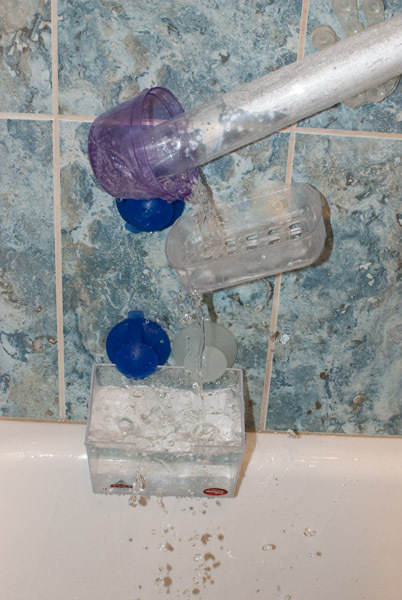 At Price Busters, we found several objects, including soap dishes designed to stick to the shower wall, along with several packs of suctions cups, some with hooks. Got a few Silly Bandz sitting around? Use them to hang objects from the suction cups. 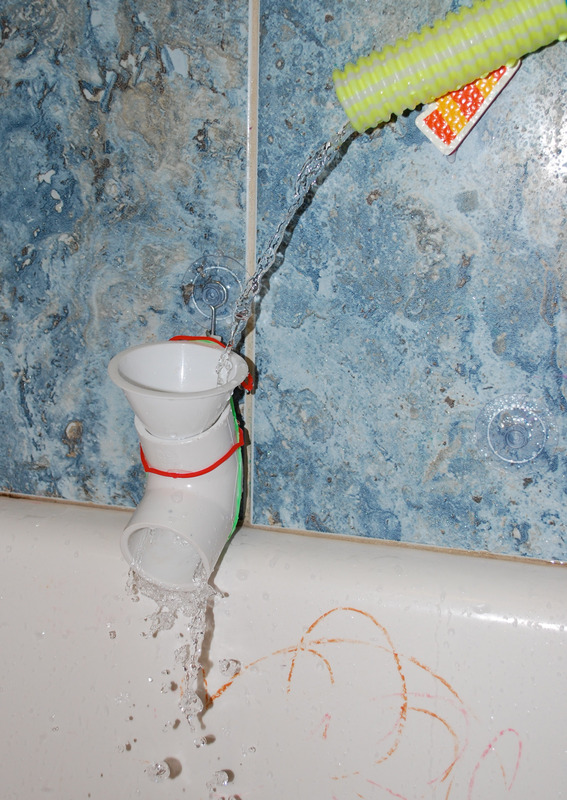 If your bathtub has a shower attachment, use it as the water source. 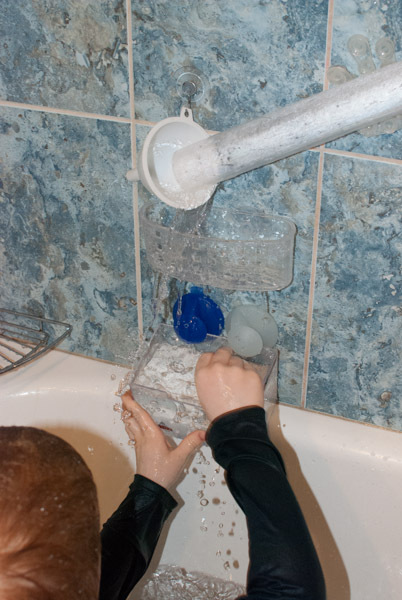 If your tub does not, you can still create a water wall. Your kids will just have to fill it the old fashioned way—by hand. 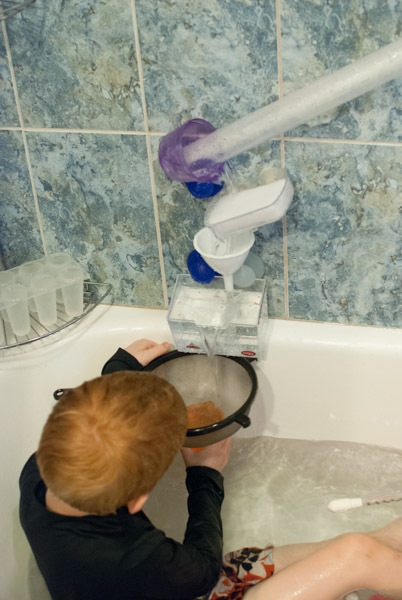 Help your kids capture the water at the top, and then let them try various ways to collect and divert the water. We made many different walls then decided on some favorites and kept those. 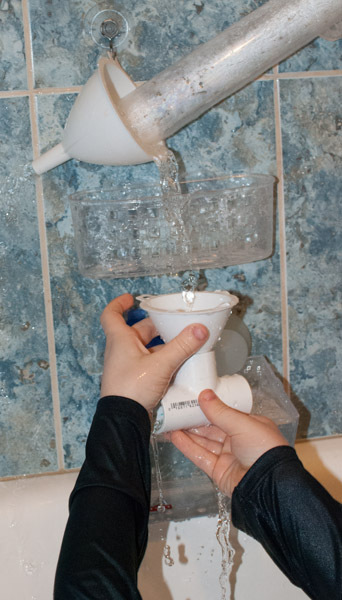 As you can imagine, multiple kids means multiple ways of water coming down the wall. One rule to follow is shut the water off once the tub is half full. 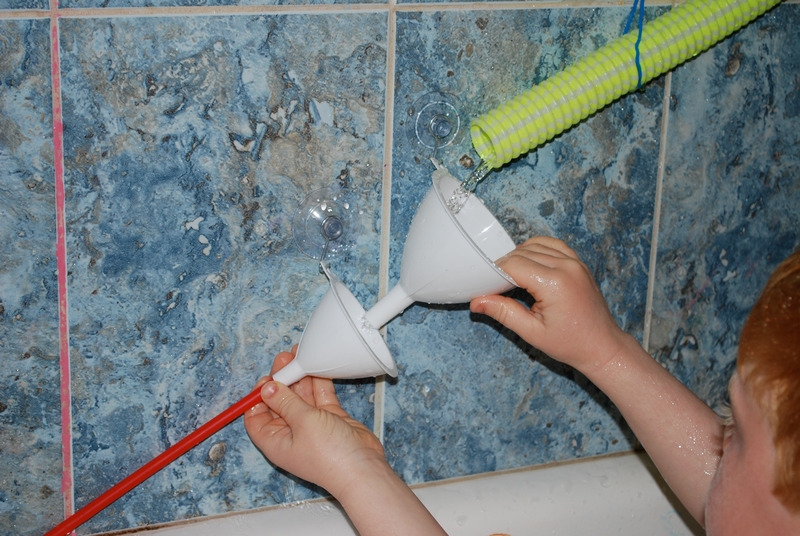 Kids can play longer by pouring water into tubes. You can even add colored bath tablets or bring out the bath crayons for an afternoon of colorful fun! 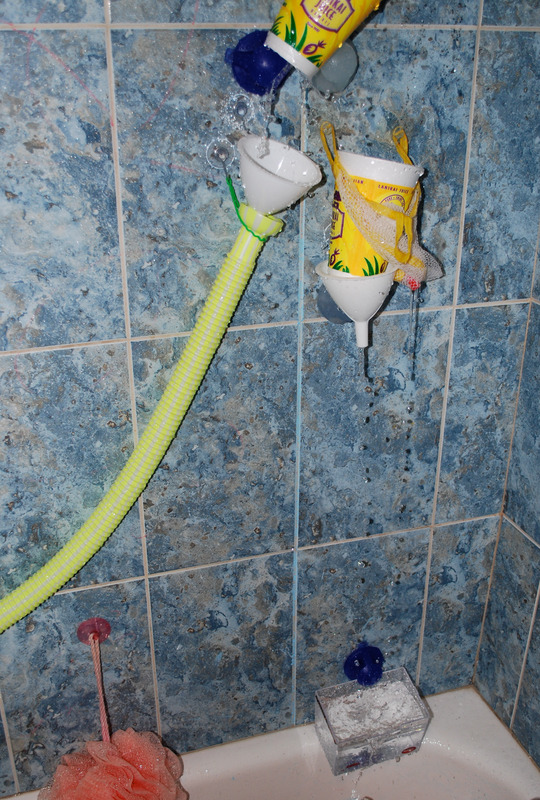 This entry was posted on April 25, 2013 by mdaucello in Crafts, Family Fun and tagged bath, bath time, bathtub, suction cup, water, water wall.